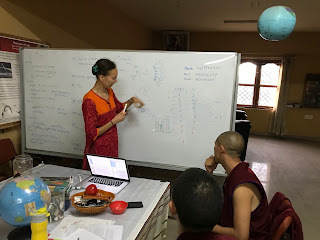 I recently went to India again to continue my collaboration with the monks of Sera Jey monastic university, who are learning to become scientists. This time, we started the visit with the International Conference on Meditation Research, at the University of Allahabad. 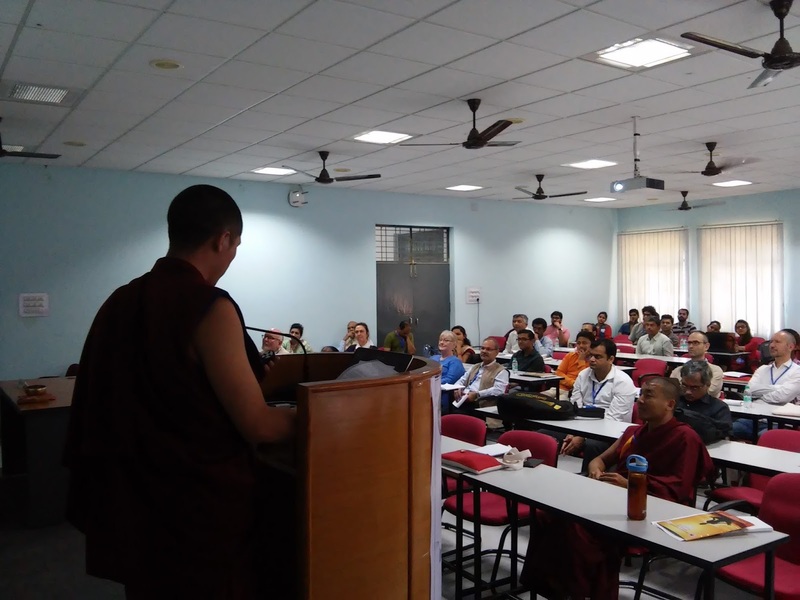 For the first time, three of the monastic collaborators presented our joint EEG research on Tibetan monastic debate. It was amazing to see them present in a real scientific forum, which was even covered by the Times of India. As one of the monks reminisced, it was also quite historic that the presentation was held in a location quite close to the ancient Buddhist university of Nalanda. The conference also hosted many Indian and international scientists who talked about topics ranging from computational models of meditation (myself) to Hindu philosophy of meditation and its clinical use. 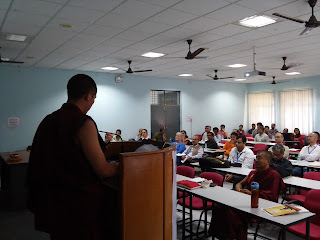 After this exciting meeting I flew to Bangalore, where I gave a few talks, followed by the most important part of the trip: a visit to Sera Jey monastic university. This time, the main goals of our journey were to start a questionnaire study and to improve the rating system of our EEG videos. When we record EEG during a monastic debate, we ask one of the monks to press buttons to indicate events such as agreement, disagreement, distraction, and more. But of course, a problem with this approach is that we do not know how reliable such ratings are. In scientific studies, it is then important to compute inter-rater reliability. We talked about this concept, and then proceeded to re-rate the videos of the EEG sessions we collected, such that it is possible to look at the agreement between raters. This turned out to be quite an interesting experience that led to a lot more discussion between the monks about how to decide when to press a certain button. During this visit, we also had another important realization: that we actually never talked very much about project management. To accomplish a complex team project of the type we are working on, it is crucial to actually divide tasks between individuals, and to have a shared vision on what needs to be accomplished and when. Once we realized this, we put together a big scheme that is now decorating the walls of the Sera Jey science centre, which indicates what the questions are that we are trying to answer, and who is responsible for what part of the work. Such discussions are probably even more necessary when you are working with a multicultural team of Tibetan monks and Western scientists compared to when you are working in a small collaboration with a PhD student at a Western university, because there are just so many more hidden assumptions. 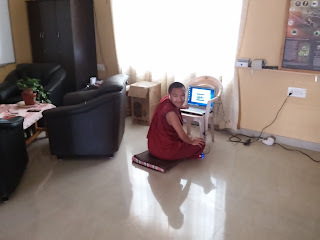 Moreover, work cultures are very different, where the West tends to have fixed schedules and predictability, in the Tibetan monastery things happen when they happen, and it is hard to plan ahead (especially given things like power outages). Despite all this, what was the most surprising thing I learnt this trip? 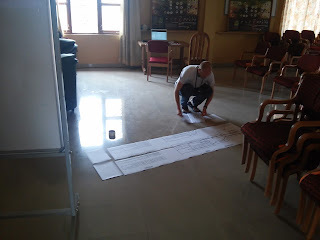 Maybe it's that Tibetan monks like statistics (at least the ones we have been working with). They did not only seem to enjoy geeky conversations during the conference in Allahabad, but also were excited about statistics lessons we ran at the Science Centre.